Thanks a lot for the chapters. Btw 22.3 is missing and 22.5 is a wrong chapter? Thank you for the hard work in translating. Sorry for the other rude comments posted. This is a out of work and people have busy lives. I love this story and can’t wait for the next posting! WoW,whole 5 pages after 7 days !? If It was 7 pages, or at least 6,5 that would be perfect, because we all could read 1 page every day for 7 days , and than on 7-th day we got 7 more pages Yahuuu!!!!! F…k this censored, I want to read end of story before I die !! Goodbye Miao Shou !! What the afing 3 pages??!! LOL this manga will last for centuries with this kind of pace!! Man, these past three chapters have been so incredibly boring. You can’t have 3 whole chapters dedicated to a mostly mundane auction with no main character at all when your only 22 chapters in. At this rate, MC won’t reach foundation stage until 2020. I dont think Dru is right when he guessed that Xi Xi and that guy are from the Demon race. I believe the demon aura is from learning that snake guys cultivation technique. And I think you are right. Dunno about royal race, but he talked about traces, and then agreed to beeing the same race, so it is almost sure, the Demon race trace is from the bath. Agree with Kryfs Peable their doing their best. Their not paid to do this evening they earn goes back into the group. And why would dru read your comment here? They don’t publish here. 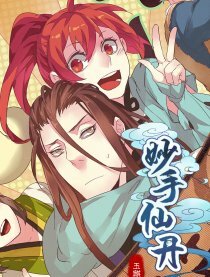 Come Dru of Trashscanlations, please correct the school boy grammatical errors in this manhua. It deserves better treatment. There, they’re, their - please use the correct one. And, it’s “should have”, “would have” and not “should of”, “would of”. Unless I missed it no explanation for her super strength. One would think that most people would be shocked by her strength but it is rarely even commented on. well its a world full of strange things, so someone with super strength is just a body type? its also clear to the reader that someone/thing is sealed inside her somehow. That “scorpion” protecting the spirit grass is actually a centipede.or millipede. it is there for us to have romance with xixi? THIS MUST TAKE PRIORITY! THIS IS GOOD! Gotta wonder why most mangas show cultivating sects as hotbeds of @ssholes and monsters.